Could The Hawks Bring Back Craig Anderson? 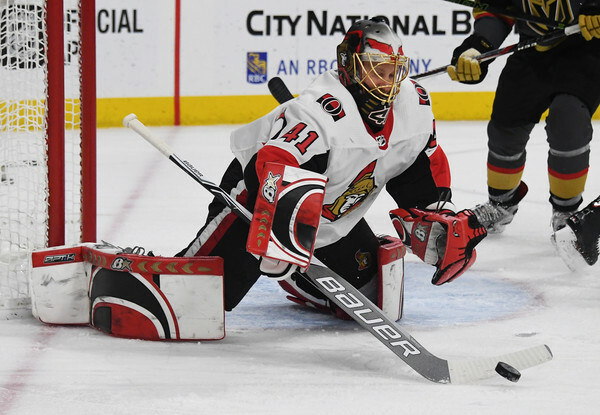 It’s being widely reported on Friday morning that the Ottawa Senators are shopping goaltender Craig Anderson. Could – or should – the Blackhawks consider bringing him back to Chicago? The Hawks are openly looking to upgrade their backup spot behind Corey Crawford, but the organization continues to be vague about Crawford’s status for next season. They “expect” him to be ready to start next season. Anderson, 37, was originally drafted by the Blackhawks in the third round in 2001. He had a rough 2017-18 season and has two years left with a $4.25M cap hit. Ottawa is a dumpster fire right now and is looking at a potential rebuild if/when Erik Karlsson leaves as a free agent in 12 months. Reunions have been a trend over the last couple years with the Hawks front office, coming with varying degrees of success. If the Blackhawks want a veteran behind Crawford without committing new money to a free agent, Anderson could be a player they look at to fill a need. The last time Anderson, a Park Ridge native, put on a Hawks sweater Duncan Keith and Brent Seabrook were rookies. His cap hit is $4.75M for 2 more years – pretty pricey for a backup/insurance policy. No Way !!!!! Throw 3 million to Carter Hutton . Too high risk and price for my liking. Opposite hair style of Darling. If he’s good in two yrs, could be good back up at 1m/1yr. Buffalo saying rfa Lehner won’t be resigned and Caps reportedly want 1st rd pick for Grabaur. Horrible last year, pretty good the year before. With that contract I pass. I’d much rather go for Robin Lehner who put up decent numbers despite being on a pretty bad team. 4 million is a lot for a backup. He’s 37 and has 2 years left at 4.25 mil per cap hit? This doesn’t sound appealing at all. let’s all remember there are more aspects to any trade than just an individual player’s age/contract. if the Hawks were able to shed a bad contract or make this part of a deal that involved other assets, it might make sense. The unknown is the confidence of the organization in Crawford returning to form. Grubauer would feel more like a long-term replacement option for 50; a move to add a veteran like Anderson would give the sense that the org is comfortable w/ Crawford coming back. 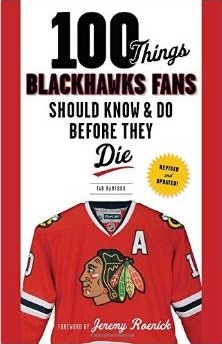 What the Hawks do to fix the goaltending position in the coming hours/week will be VERY telling. No to Grubauer… His success was from playing behind a very good CUP winning team — with Carlsson/Kempny leading the way!!!! No to Anderson and Grubauer. With a 2 years on 35+ contract the downside could be that if he retires or want to send him to minors or buy him out your stuck with the full cap hit on your books, it doesn’t reduce like nornal contracts. If it worked out and you got rid of something good but if not you could be worse off. Too many ifs… but with them looking at a 4.mil+ are they confident in 50 to get back to form? Better to risk the money on a younger, cheaper goalie than a older vet. Me personally, I have no interest in Anderson. But that being said it should be an interesting week to see what they have in store. Lehner would be a nice option to have in net. Still young. Trade Nails to Philly for any of their goalies. Also maybe Nails and Hossa contract for a goalie and Simmons. Aaah yes, thst would be a homecoming for Hossa and Anderson, eh? Also…laughed out loud about your hairstyle observation, Iceman.